Port Credit Audiology & Hearing Aid Clinic is independently owned, allowing us to work with a wide variety of manufacturers, and choose the best products based on your individual needs. Control at your fingertips. Adjust the volume and change programs to optimize your hearing aids for every environment. Direct streaming of the audio from your television to your hearing aids in clear stereo sound. You no longer need to struggle with understanding the dialogue of your favourite shows, or the volume of the television being too loud. 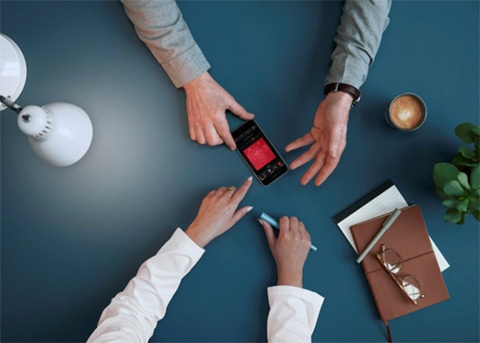 Whether it is a phone call, music, podcast or any other type of audio, this device will stream them to your hearing aid from any Bluetooth enabled device. Extend your hearing and improve speech understanding in the most challenging environments. Clip this microphone to a loved one when you want to focus on sounds in a noisy environment, or set it on a table to enjoy sound from a distance. At Port Credit Audiology & Hearing Aid Clinic, we can assist you with your existing hearing aids and help optimize their settings or add an accessory to improve their functionality. 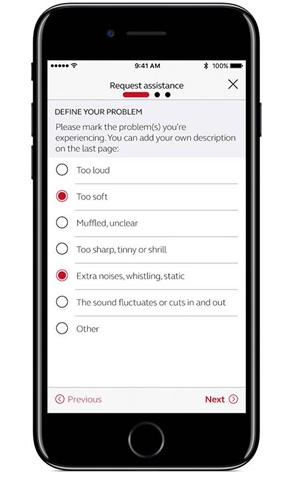 Made for iPhone® technology allows direct connection between your Apple device and hearing aids. Turn your hearing aids into personalized earphones as you listen to music, podcasts, Facetime or any other audio you enjoy, or become hands free as you have a phone conversation. Android users can also connect to their hearing aids to enjoy seamless streaming of phone calls or audio from any app. The addition of Apps specifically developed for your hearing aid allows you to personalize your listening experience even further. 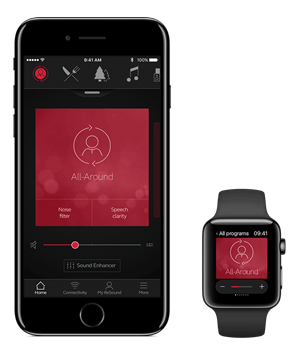 Through the app, you can customize the bass-mid-treble sounds, increase or decrease the amount of noise or wind reduction. With GPS technology, you can find your hearing aids if they are lost or design settings that are specific to a geographic location. We can adjust your hearing aids from anywhere in the world! Do you find it difficult to make appointments? Travel frequently? Have a hard time describing your hearing observations at your appointment? 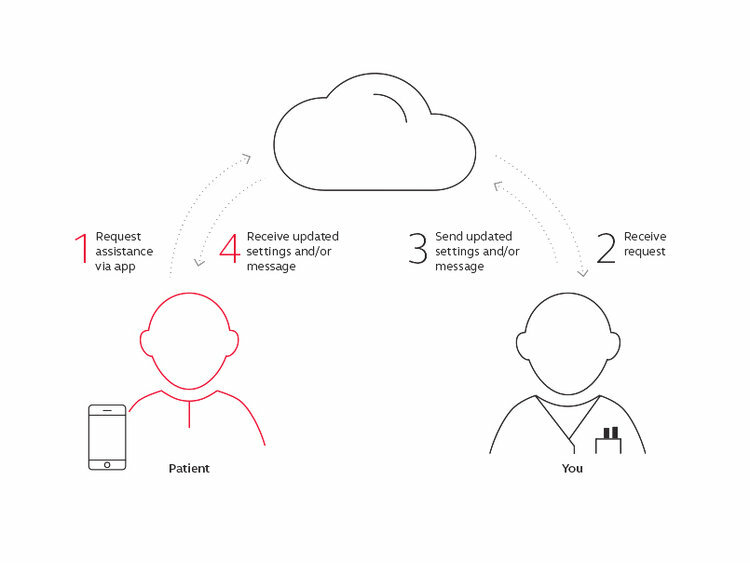 Remote fine-tuning provides you the ability to send our Audiologist a message from your smartphone about any concerns you may have with your hearing aids, and have us send you a message back or new hearing aid settings to optimize their functionality from wherever you are. Get more out of your hearing aids without having to wait for an appointment. All hearing aids are powered by batteries and are available in four different sizes depending on the style of the hearing aid. 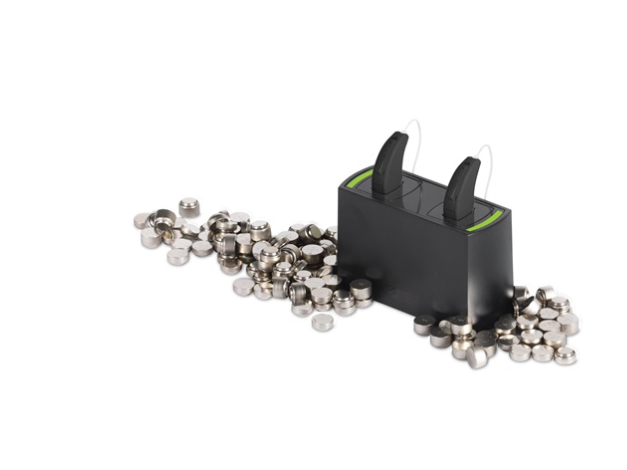 In the clinic, we stock high quality mercury free batteries to ensure your hearing aids perform optimally while you wear them. Once you are done with your batteries, bring them back and we will recycle them for you. Don’t want the hassle of changing your batteries regularly? Please stop in to purchase more batteries, or call and arrange for us to mail them to you at home!